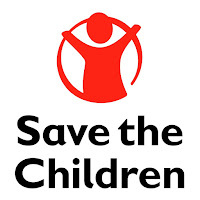 Save the Children has been working in Tanzania for more than 30 years. We are working with government, local organizations and other international agencies to reduce child malnutrition, improve maternal, new born and child health services, support and strengthen early childhood development, primary, alternative and inclusive education and educational systems. We strengthen child protection systems for vulnerable children, promote children’s participation and contribution to policy and resource allocation for services which concern them, support, and respond to emergencies. We are looking for an experienced, enthusiastic and motivated and results oriented individual with strong commitment, and track record of effective programme delivery through sound project management, capacity building skills and a commitment to the promotion of children’s rights to fill the Director of PDQ position. Role Purpose: As a member of the Senior Management Team (SMT) in Tanzania, the Director of Program Development and Quality (PDQ) is responsible for driving cross-functional engagement in the development and delivery of the Country Strategy Plan (CSP), developing annual plans and reporting on results. S/he is responsible for ensuring development and delivery of high quality, evidence-based, innovative programs for children, in all contexts, that contribute to Save the Children’s global Breakthroughs: Learn, Survive, Be Protected. The Director of PDQ ensures that a robust monitoring, evaluation, accountability and learning (MEAL) system is in place, that the country office engages in the collection and use of evidence and that this is shared across the global organization, and that reliable data is used for decision-making. One key aspect of the role is ensuring capability building, mentoring and coaching of technical specialists in order to support program quality in line with global standards and key performance indicators. As a senior leader in the country office s/he plays a representational role with the government, donors, partners, peer agencies, SC Members and others. The Director of PDQ supports strategic positioning with donors and partners and leads on project design to ensure that the country office strategy can be delivered in line with child rights programming principles. • Strong skills in training, capacity building, coaching, problem solving and mentoring teams’/staff members throughout project cycle management. • Fluency in written and spoken English, Kiswahili would be an advantage. Please read the full details of the position at and apply as instructed. Only submit cover letter and recent Curriculum Vitae in a single file. Do not attach any certificate at this stage, applications with certificates attachment shall not be considered. Indicate the position title and location in your cover letter. Only short listed candidates will be contacted for Interview.